Along with the Flare J2 DTV, Cherry Mobile also announced the Flare J2s with seemingly better design and configurations. The Cherry Mobile J2s is an entry-level handset with stylish curvy frame and 5 inch HD IPS screen. Under the hood, powering this phone is a 1.2 GHz quad core chip, 1 GB RAM, and 16 GB of expandable storage. However, we don't know its exact battery yet. It also has an 8 MP main camera w/ AF and LED flash, 5 MP selfie camera, 3G connectivity, dual SIM slots, and comes with Android 6.0 Marshmallow OS out of the box. 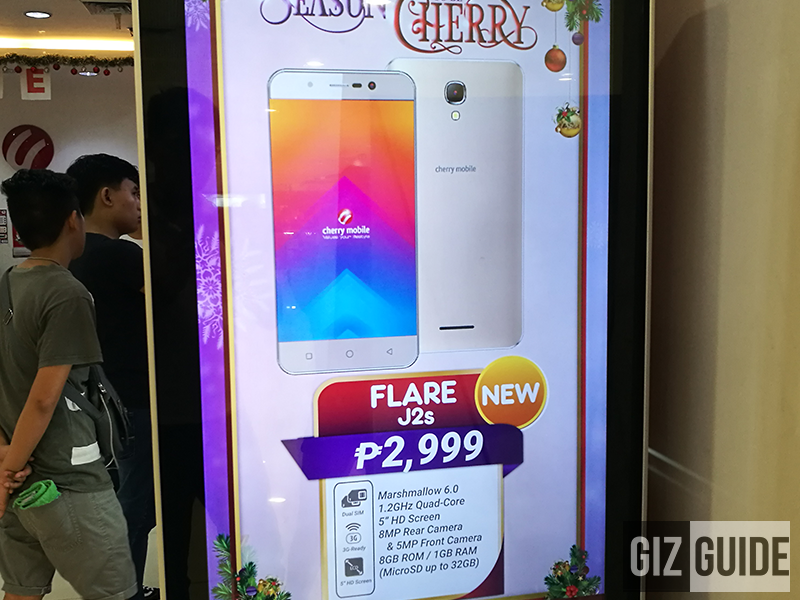 The Cherry Mobile Flare J2s is priced at PHP 2,999 only.